This is the second in a series of articles Interest.co.nz has commissioned reviewing the key chapters and issues for New Zealand in the Trans-Pacific Partnership Agreement (TPPA). The first article is here. The Obama Administration says the TPP has the strongest protections for workers of any trade agreement in history. These protections are outlined in Chapter 19 of the TPPA (Labour), which provides a uniform minimum standard for workers’ rights across signatories. The chapter does place additional demands on the signatories, but these provisions are largely symbolic in nature. Article 19.3 requires signatories to adopt a minimum wage, occupational safety and health standards, and hours of work regulations. However, it is left up to the signatories to set these standards - meaning that they can set them as low as they like. Article 19.8 also requires the signatories to permit access to “impartial and independent tribunals” for the enforcement of their labour laws. Thus the declaration in Article 19.3 really forms the centrepiece of the chapter. It is the only provision that stipulates a uniform standard across countries. The declaration is squarely aimed at the emerging economies that have a poor track record when it comes to workers’ rights. Both Viet Nam and Malaysia have attracted international condemnation for permitting forced and child labour, and Malaysia appears indifferent to its human trafficking problem. Independent unions are illegal in Viet Nam. And recent protests in Mexico have highlighted the ongoing issues with labour standards right on the US border. There is both an ethical and an economic reasoning behind the labour chapter. The ethical arguments are no doubt clear enough to most people. But the economics of minimum labour standards also make a lot of sense. David Ricardo (1772-1823) argued for free trade based on the idea of comparative advantage: An economy generally tends to be better at producing some goods more than others. Rather than attempt to produce the full range of goods that consumers demand, the country should specialise in producing only those goods that it makes more efficiently, and obtain the remaining goods through free trade. All nations would prosper as a result. The comparative advantage that many emerging countries have is in labour-intensive industries – such as manufacturing – because they have lots of potential blue collar workers. But regulation – or lack thereof – can be used to manipulate these comparative advantages. Suppose that blue collar labour is cheap within a country because its government prevents workers from organizing into unions, or because the government permits forced labour. In this case we do not have a level playing field. And if ISDS mechanisms are supposed to even the playing field between foreign and domestic firms in host nations, then it seems only fair that the TPPA should also level the playing field for blue collar workers across different countries. American lawmakers pushed hard for the labour and environmental standards in the TPPA. Strong labour standards have been the centrepiece of US free trade negotiations since the so-called May 10 Accord of 2007, in which Democrats and Republicans agreed to incorporate the ILO Declaration into future US FTAs. The US FTAs with Peru, Colombia and Panama and the CAFTA-DR (Dominican Republic-Central America FTA) all contain this accord. But unions and labour groups have long claimed that these labour standards are difficult to enforce in practice. And the US Government Accountability Office (GAO) agrees. A 2014 GAO report outlines the challenges the US has faced in enforcing the labour provisions in previous FTAs. It recommends a coordinated, strategic approach to monitoring and enforcement. 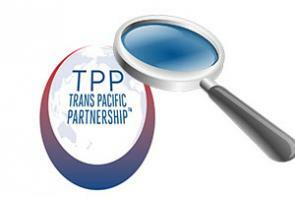 The TPPA may provide the US with the strategic approach it has been looking for. The agreement requires ongoing monitoring and consultation between the US and some of the worst offenders – Malaysia, Brunei, and Viet Nam - through bilateral consistency plans. The goal of these consistency plans is to bring these countries up to the minimum standards stipulated in Article 19.3. Amongst other provisions, Malaysia must pass and enforce anti-trafficking laws, and pass laws that require employers to offer all workers employment contracts. Viet Nam will have to allow the formation of independent unions that are outside of the control of the Communist Party. The countries will not gain access to the full set of rights stipulated in the TPPA until they meet these standards - and the kicker is that the US will be the ultimate judge of whether they are fit to join the club. The consistency plans only target specific deficiencies in the legal codes of a handful of signatories before the TPPA comes into effect. If and when the agreement is ratified, alleged violations of the labour provisions must be dealt with using the arbitration and dispute settlement protocols. If one party thinks another isn’t playing by the rules, there are a couple of different options outlined in the chapter to address the alleged infractions. The softer option is the “cooperative labour dialogue” outlined in Article 19.11. Under this approach the respective parties are obligated to meet and talk through the issues. But there is no further recourse available should the talks come to a dead end. The more heavy-handed option is the “labour consultation” process outlined in Article 19.15. Although this avenue also requires the respective parties to first meet and talk-it-out, the complainant can invoke formal dispute settlement procedures if no resolution is reached. These procedures are laid out in chapter 28 (Dispute Settlement); this chapter describes the protocols and procedures through which most of the rights and obligations of the TPPA can be enforced. In every step of the process the involved parties are governments. This means that labour rights groups and unions must first appeal to their respective governments in order to address alleged infractions. This is a sore point with many labour organisations, because it is a key point of difference with the investor-state dispute settlement process. Under the ISDS clause, private enterprise can directly initiate the arbitration process with a government. The labour chapter also leaves the door open for unilateral action in response to alleged infractions of the labour provisions. Article 19.6 states: Each Party recognises the goal of eliminating all forms of forced or compulsory labour, including forced or compulsory child labour. Taking into consideration that the parties have assumed obligations in this regard under Article 19.3 (Labour Rights), each party shall also discourage, through initiatives it considers appropriate, the importation of goods from other sources produced in whole or in part by forced or compulsory labour, including forced or compulsory child labour. Imagine a National government being accused of being in violation of the TPPA because it permits importation of agricultural commodities that are harvested using forced labour. (Take note, Oxfam et al.) The catch is that that this provision is effectively non-binding. The clause stipulating that each party shall discourage importation through initiatives it considers appropriate renders the article unenforceable. But it does leave the door ajar for a government to do something at home in order to discourage worker abuse happening overseas. Cracking down on human trafficking and forced labour, prosecuting the offenders, putting the guilty into prison – this all requires cash. Lack of funding won’t be considered a valid excuse when it comes to enforcing the labour regulations under the agreement. Article 19.5 expressly prohibits non-compliance or non-enforcement of the labour provisions on the basis of lack of resources. It does, however, admit “reasonable enforcement discretion” when putting the laws into practice. Ricardian trade theory provides a compelling case for free trade. But reality never fits neatly into theories. The transition to specialisation is incredibly painful for the people and families whose livelihoods depend on the jobs that are going to be shipped overseas. The people laid off from the closing steel plant cannot turn up at a biotech firm the next day and get a job. Sadly, the transition to specialisation is often intergenerational. Many economists, such as Nobel Laureate Joseph Stiglitz, attribute at least some of the increase in income inequality within the developed world to globalisation. Ultimately it is up to our leaders to ensure whether, and how, the gains to free trade are shared among us. But market liberalisation often coincides with the dismantling of the social safety net. The cruel irony is that our society needs that safety net the most in the cut-throat world of a free market economy. Organised labour in the West is downright angry about free trade, and has every right to be. Blue collar workers have been left out in the cold. A free trade agreement is obviously not the place for a government to ensure that the gains from trade are equitably distributed. But these agreements can – and should – have a role to play by at least ensuring a level playing field between the workers of different nations. Time will tell whether the TPPA will be the vanguard of workers’ rights that Barack Obama hopes it to be. Lol. Does anybody really think that all this legal framework (mumbo jumbo) is going to be operative. Countries will do what they like with labour. And the thousands of people who love flying around the world 'negotiating' these agreements know it. But to say so means you would not get the job, with free travel and free 5 star hotels. Read the GAO report in the link. Yes, lawsuits have been lacking. But Peru and Guatemala are about to get it. That is US workers not anyone else. Catherine Ryan interviewed Harley Shaiken on RNZ the other day re this (Listen to it here). He doubts that while the language around labour is stronger than in other free trade agreements, that it will actually be enforcable. He has characterised the agreement as a document that provides strong protection for large corporations while freezing out consumers and others. He also notes that such trade agreements, (especially with Mexico) have effectively locked in low wages, undermining economic growth and prosperity. Bottom line is that these types of agreement are not good news in the long term and should not be supported. Shaiken's argument lacks rigour. pointing out that wages have decreased since 1994 and concluding that NAFTA is what did it ignores all the other confounding variables that effect a country's wages. It has been two decades... A lot has happened. Mexico - like American manufacturing - has been losing out to China too. Yes, I get that. That is part of the overall picture of business's exporting jobs to the lowest wage cost economy in the name of greed. This has occured significntly in NZ too, however I sugest that this is the easy way out. Shaiken points out, correctly IMHO, that reducing wages (either real or through stagnation) reduces spending power and actually has a detrimental impact on prosperity because with the general population having less to spend, they are unable to afford to buy the products produced by companies. I also think he is right with respect to the TPPA being more about large corporations rather than an international trade agreement. The 30 year time frame for the benefits to be evident for NZ is proof of this, as we are still effectivey blocked out of the american market (and others) while our Government is falling over itself to open the doors for them here. The question I have is how does the TPPA create a situation that will allow the preservation of existing jobs in NZ, and the creation of many more to enable the employment of the majority "low skilled" population? Bottom line - it doesn't, it will actually make it harder. I wouldn't worry about job losses in NZ. We (perhaps foolishly) unilaterally opened up to free trade back in the 1980s, meaning that we have already lost all those well-paying blue collar manufacturing jobs. My best guess is that we won't see massive employment growth in low skilled sectors of the economy. Agriculture will benefit - but this is a sector only has a low level of labour input. Most of the value added goes to farmers.... And the banks. Thanks for the article Ryan. It is good to know there is some provision for workers in the TPPA but IMHO worker and consumer rights still seem to less protected than large multi-national corporate rights.